Si-Yo Music Society Foundation, Inc.
Tickets for this concert are now SOLD OUT. If you would like to be added to the waitlist, please email events@si-yomusic.org. If you are interested in our other concerts, you can visit our website for more information. 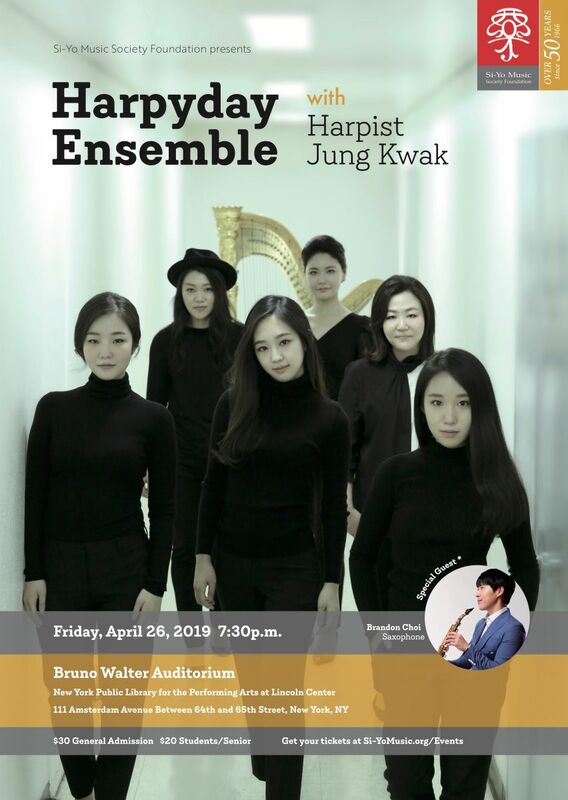 Join Si-Yo Music Society Foundation for a unique musical experience featuring Harpyday Ensemble, the only professional harp ensemble in Korea. In addition to being recognized for its dynamic performances, the group is also known for discovering new talent and popularizing harp music by organizing music festivals and harp competitions. Make a a gift by texting DONATESY to 91999, or donate by credit card or other options.